Netflix has canceled Marvel's Daredevil after three seasons. The news follows the recent cancellations of Iron Fist and Luke Cage by the streaming platform, but this one is more than likely even more of a stinger for Marvel fans, who have embraced Charlie Cox's portrayal of Matt Murdock on the hit series since its debut in 2015. Season 3 of Daredevil just premiered to positive reviews from fans and critics, just like the previous two seasons, but it is believed that viewership has continued to decline, which may or may not have been the deciding factor for the cancellation. The Daredevil cancellation news also comes after it was revealed that Season 4 had already been mapped out and pitched to Netflix. While Season 4 won't be on the streaming platform, it looks like there could be a glimmer of hope down the line. Netflix released a statement about their decision to cancel the Marvel series. The statement reads. "Marvel's Daredevil will not return for a fourth season on Netflix. We are tremendously proud of the show's last and final season and although it's painful for the fans, we feel it best to close this chapter on a high note. We're thankful to showrunner Erik Oleson, the show's writers, stellar crew and incredible cast including Charlie Cox as Daredevil himself, and we're grateful to the fans who have supported the show over the years. 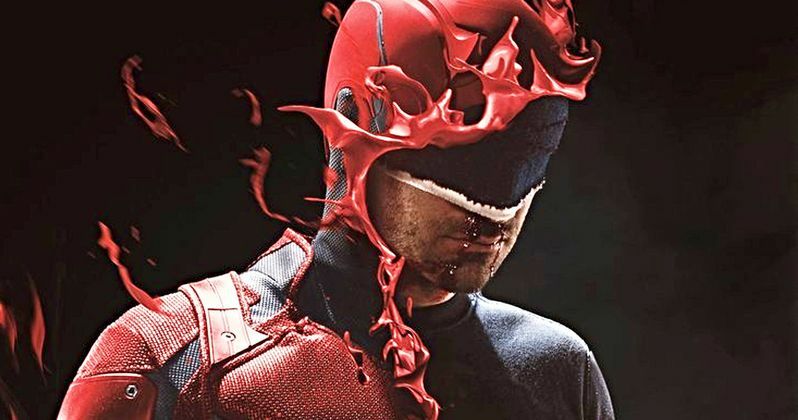 While the series on Netflix has ended, the three existing seasons will remain on the service for years to come, while the Daredevil character will live on in future projects for Marvel." Obviously, the Daredevil cancellation news, paired with the previous Marvel cancellations, seems to point at the shows could be setting up for a new home. The Disney+ streaming platform is preparing to launch late next year, and they are already developing original Marvel content. With that being said, Deborah Ann Woll, who plays Karen Page on the show, posted her disappointment with the news on social media. She had this to say. "I'm so sad that we won't be continuing this story. Mostly I'll miss seeing the friends I've made every day. Thank you to every person who contributed to this series over the years. And to Erik Oleson because of you we are going out on a high." Marvel fans have been pleased with Season 3 of Daredevil and were looking forward to Season 4. Again, the show could be coming back over at Disney+, but if it does, it seems that it's a secret to nearly everybody involved with the series. Daredevil executive producer Sam Ernst also posted about the cancellation on social media and seems shocked by the news. Ernst's explains. "Man, so weird to be in the Daredevil writers room today, getting the news that we're cancelled. On the walls were an entire season 4 laid out - and it was so f*cking cool. So many moments we wanted the fans to see... Sigh, this business." Daredevil Season 3 showrunner Erik Oleson called Netflix's cancellation of Iron Fist heartbreaking, so one can only imagine how he feels at this time. Oleson just pitched Season 4 a few weeks ago. Whatever the case may be, let's hope that the cast and crew from Daredevil, Luke Cage, and Iron Fist are getting ready for a new home with Disney+ in the near future. The cancellation news was first reported by Deadline.